Hiring staff is a chore. It takes time, it costs money and it’s usually hard work. So it’s no wonder New Zealand managers too often hire the wrong people, pushing square pegs into round holes. These people — the misfit employees and the misguided managers who hire them — destroy the value in their business. The best way to avoid these disasters is to understand why they happen and how to avoid them. 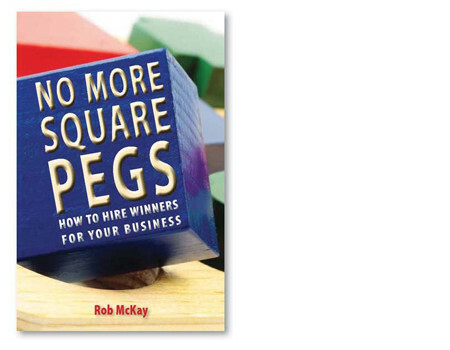 No More Square Pegs reveals the secrets to hiring the right people first time, as employment specialist Rob McKay shares his 7–step guide for finding winners. ‘Compulsive reading for all who hire . . . the strategies in this book saved me so many times.’ — Brent Impey, former CEO, Mediaworks. ‘Great practical advice, easy to read and seriously handy.’ — Marc Burns, General Manager Human Resources, Canon NZ. ‘If you’re responsible for hiring staff, read this book now.’ — Diane Foreman, CEO Emerald Group and 2009 NZ Entrepreneur of the Year. ‘I have become a firm advocate of using psychometric testing. Why? Because it works! Chapter 6 is a must read.’— Sir David Levene, Chairman Quadrant Properties, and laureate of NZ Business Hall of Fame. ‘A brilliant tool for managers new to recruiting.’ — Marilyn Manning, Human Resources Manager, Les Mills New Zealand. ‘Gives clear appropriate information in a directly useable form. Definitely one for the corporate bookshelp.’ — Ruth Kim, Team Leader for HR Reporting, Department of Corrections. Rob McKay is a psychologist and a leading authority on how to find the right person for the right job. 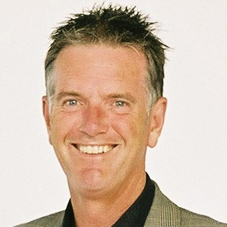 He’s a successful owner of recruitment and media businesses and lives in Wanaka, New Zealand.